Earlier this week I attended the High Tech Meets Haute Design event in the city so I went for a fool proof, but fun, casual look. 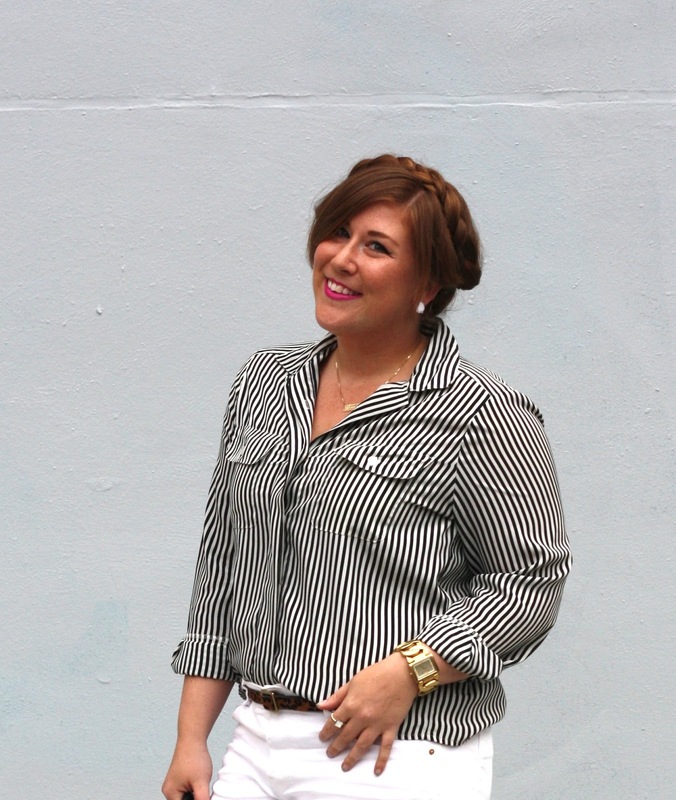 I kept it simple with my go-to white shorts, favorite thrifted striped blouse, and added some pizazz with the pop of color in my shoes and lipstick...and the milkmaid braids were the icing on the cake. How do you get your braids to stay? Love this look!